Bike rides are always an amazing feeling. Given that Two Wheelers are most likely to meet an accident, it’s important to secure your life by the best two wheeler policy. That’s where SBI General two wheeler insurance comes into rescue since it provides tremendous financial cover against any physical damage, third-party liability and theft. SBI General Two Wheeler Insurance Package Policy is specifically designed to deal with whatever little road blocks life has to throws at you. Two wheeler insurance plans from SBI General Insurance aim to fulfill all your requirements within a tailor-made price. SBI General bike insurance policies provide far-reaching coverage against a number of risks. To brief about the background of the company, SBI General Insurance Company Limited started its journey in the year 2010. SBI General Insurance Company is a joint business enterprise between State Bank of India (holding 74% of shares) and Insurance Australia Group (IAG). The company offers widespread general insurance services all over India in both retail and commercial space at affordable prices. 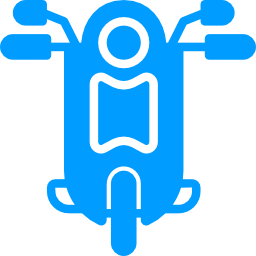 SBI General two wheeler insurance is very much in demand for the protection of motorcycles and scooters in India. The services offered by the company can be purchased or renewed online easily. A plethora of benefits come with the two wheeler policies from SBI General Insurance. Some of the best features and benefits of buying SBI General Two Wheeler Insurance are below. ✔SBI General third party two wheeler insurance plan covers death or any bodily injury caused to the third party due to an accident involving your vehicle and also covers any injury or loss to the third party property due to your vehicle. ✔SBI two wheeler insurance policies come with a profile based personalized pricing choice where the premium differs from one individual to another. ✔Policy buyers aged between 25-55 years are offered special discounts in the rate of premium under SBI General two wheeler policy. ✔Any loss or damage due to various Natural and Manmade Calamities are covered under the own damage cover. ✔SBI General bike Insurance plan has provision of No claim Bonus (NCB) in which if there has been no claims made during a policy term, a discount in premium which can go as high as 50% is offered. ✔SBI General bike Insurance offers personal accident cover for the vehicle owner or registered driver. ✔	You can also enjoy additional discounts under SBI General two wheeler insurance plans if your vehicle is insured with the company without any break in the policy. ✔	SBI General Insurance Company helps their customers kill their stress by providing the best and transparent claim assistance. ✔	The company keeps their customers updated regarding the progress of their claims. ✔	You can easily buy, renew or get instant quotes on SBI General two wheeler insurance online. ✔	SBI General Insurance also assists their customers’ access the company’s preferred local service providers who are in charge of repairing the damaged vehicle properly with an assurance to fix it in the most efficient way possible. Just like any other motor insurance providers in India, SBI General Insurance also offers Third Party and Comprehensive plans. If you are wondering what is covered under the two wheeler insurance plans from SBI General Insurance, read below. ✔	SBI General two wheeler insurance policy is designed to cover the compulsory Third Party Liability as required by Motor Vehicles Act, together with loss or damage to the Vehicle itself. ✔	Third party liability basically safeguards an insured against any legal liability involving the vehicle insured in an event of bodily injury to / on death of a third party person and any loss or damage to third party property. ✔	SBI General two wheeler insurance provides compulsory personal accident cover for Rs. 1/- lakh for the individual owners of the vehicle. ✔	The Pillion Rider of your two wheeler can also get Personal Accident coverage for a maximum Sum Insured of Rs. 1/- lakh. However, you may also opt for higher Personal Accident cover limits under SBI General two wheeler insurance plan. ✔	Fire, self-ignition, explosion, any accidental damage due to external means. ✔	Any damage or loss to the vehicle while it’s in transit by road, rail, lift, air, elevator, inland waterway. ✔	Flood, lightning, tempest earthquake, hurricane, storm, typhoon, inundation, hailstorm, cyclone, landslide, frost, rockslide. ✔	Theft, burglary, strike, riot, any malicious act and terrorist activity. The renewal of SBI Two Wheeler Insurance has the same significance as purchasing one. It’s important that SBI General two wheeler insurance renewal is done on time to enjoy the coverage without any break. Any failure to SBI General two wheeler insurance renewal on time can set you apart from availing the discounts on NCB. Below are the seeps for SBI General two wheeler policy renewal. SBI General two wheeler insurance policy renewal will take a few minutes when you do it online. ✔	First log into the official website of SBI General Insurance Company to renew your two wheeler policy. ✔	Click on ‘Renew Your Policy’ and thereafter choose ‘My other policies’ from the list for the renewal of SBI General bike Insurance online. ✔	You will be diverted to a new page where you will have to choose ‘Motor Two Wheeler’ under ‘Motor Policy’ for instant SBI General bike insurance policy renewal online. ✔	After that, click on ‘Renew Now’. You will be diverted to a new page. Enter the asked details such as registration number etc there and click on ‘GET QUOTE’ for SBI General two wheeler insurance renewal online. ✔	A new page will ask you provide important information to allow you to the premium payment option. ✔	Pay the premium to complete your SBI General two wheeler insurance renewal online. ✔	You will be done with SBI General bike insurance policy renewal after the premium has been paid. You will receive a mail confirming the renewal. You can also download and save the renewal details for future use. ✔	General ageing of the vehicle, normal wear, tear. ✔	Any consequential loss or depreciation. ✔	Electrical or mechanical breakdown. ✔	Any damage or loss due to war, mutiny, nuclear risk etc. ✔	Damage to / by a person while driving the vehicle under the influence of intoxication of alcohol or drugs. NCB or No Claim Bonus is calculated on the number of claim free years a bike insurance policyholder has. The more the claim free years, the more discount is enjoyed by the two wheeler policyholder on his own damage policy renewal. 2. What was the previous NCB? Previous NCB is the No Claim Bonus that you earned in a previous motor insurance policy. The previous NCB can be transferred to your new motor insurance policy and the discount that you earned can be applied to the first premium payable for your new motor insurance policy. 3. What is comprehensive insurance for bike? Comprehensive insurance for bike gives you a higher level of protection that not only covers the third party damages, but also covers the damages of your own bike from loss, theft, accidents etc. 4.How long does my no claims last without insurance? The grace period that is given by the motor insurance companies for you to renew or change your policy, is the time duration after which you may lose your NCB. If your vehicle is not insured currently, the no claim bonus you earned on your previous motor insurance policy can be transferred to your new policy, if the policy expired within last two years. 5. What does my motorcycle insurance cover? Third party motorcycle insurance which is mandatory to have by law covers the damages that are done to vehicle or property other than you. Comprehensive motorcycle insurance covers the cost of repair or replacement of parts of your own bike, compensates against the loss or theft of your motorcycle, and covers other accidents that your motorcycle could face.